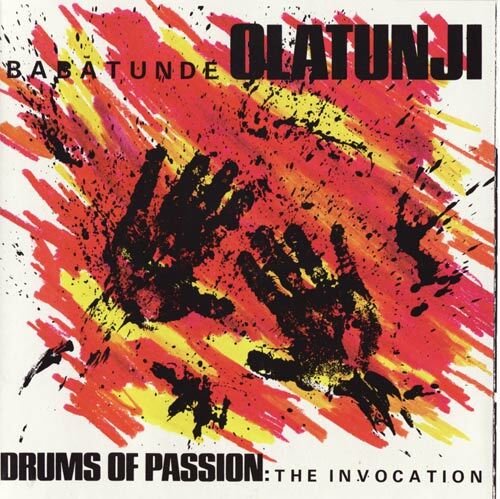 This is the second new recording by percussion master Babatunde Olatunji for Mickey Hart's series "The World." In contrast to the preceding DRUMS OF PASSION: THE BEAT, which featured a modern rock-guitar sound lent by Carlos Santana, THE INVOCATION features eleven percussionists and seven vocalists in a work of rhythm and rapture. A review in Musician said of the album, "Its immense sound scalds you until you feel the humidity coming out of the ground....It resonates like a polyrhythmic high mass...."